Fox announces new Marvel mobile game featuring "exciting storyline, epic moments"
FoxNext Games and Marvel Entertainment have just announced a new mobile game features the latter's super heroes and super villains will be launched later this year. The name of the new action-RPG hasn't been revealed yet, but we do know the game will be developed by Aftershock, the studio acquired by FoxNext Games last month. Aftershock formed as a spin-off of Kabam, the famous mobile game developer that was purchased by Netmarble Games last year. The new mobile game announced today is Aftershock's first game, one that will be “special” according to Jay Ong, Marvel's senior VP of games and innovation. 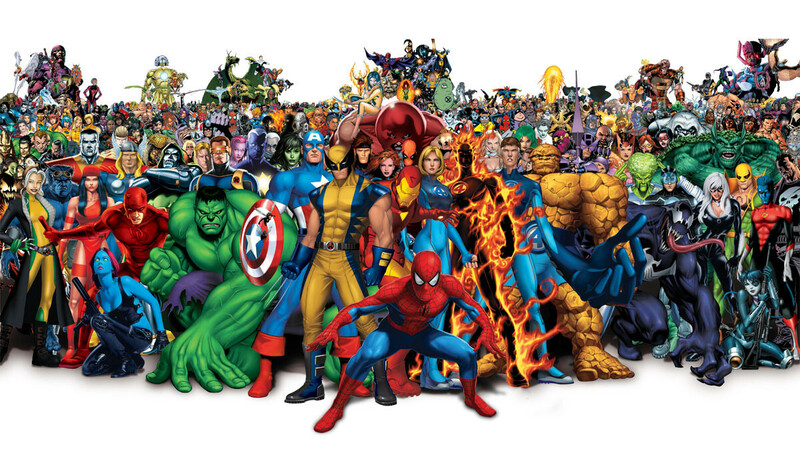 The game will be the full package: an exciting storyline, epic moments with Marvel Super Heroes and Super Villains, and incredible visuals that truly bring our characters to life. It’s shaping up to be one of our biggest and boldest projects in our mobile portfolio, and we know it will exceed our fans’ expectations. Hopefully it's not like Future Fight. Fun at first but you realize it's going to take forever to progress unless you pay lots of money. exactly man. i used to love future fight but ended up uninstalling it. i hate in-app-purchases. Same with Avengers academy. It's even worse, spending 20 bucks ingame doesn't make you win an event. All events are unwinnable without spending a lot of cash and the events kept on coming. I never really had that problem. I haven't paid to progress at all and I have two teams of tier 2 characters. Just takes patience.